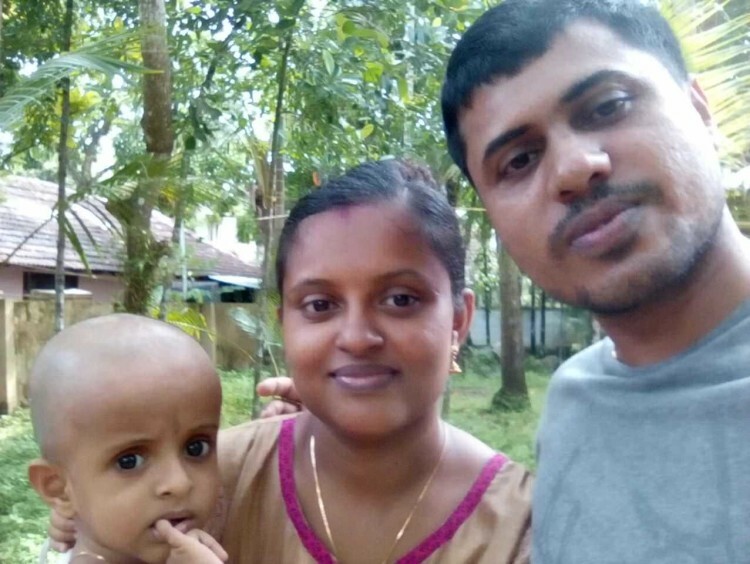 On the auspicious day of Vishu, Nived, his father, Libikumar and mother, Haritha were spending quality time with extended family at their home in North Paravur, Kerala. 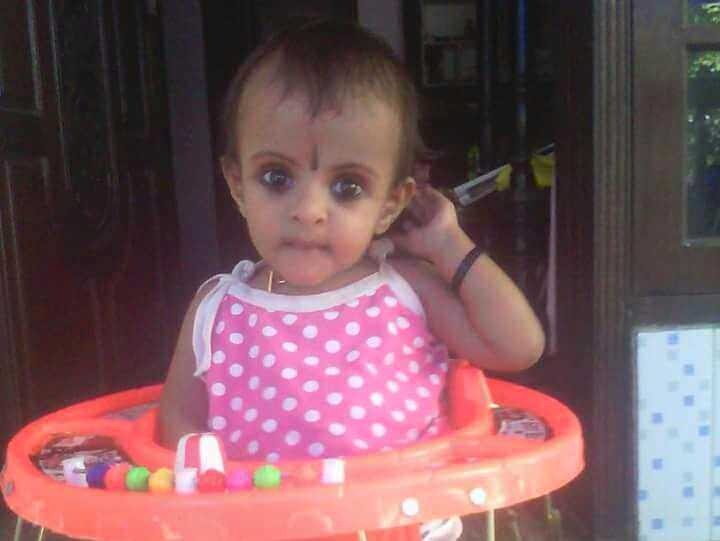 Little Nived started feeling weak suddenly and developed a fever. His body was burning hot. They rushed him to a medical centre nearby. While the doctor was prescribing medicines, Nived started getting fits. Libikumar and Haritha can hardly recognize Nived now. Their toddler has a dozen tubes running through his face. He is weak and motionless. The fits attack had almost killed him. 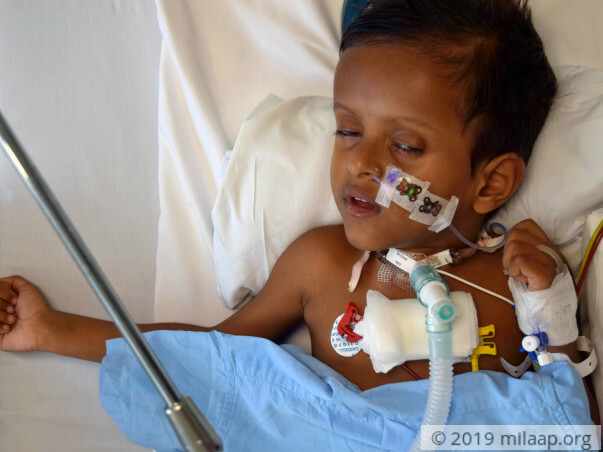 Nived was never an active baby, but he hadn’t exhibited any serious problems since birth. It bothered his parents that even after having turned 2, he hadn’t spoken his first word or taken his first step. He was taken to many doctors, who suggested physiotherapy and speech therapy. But only after the fits episode did Libikumar and Haritha come to know that Nived had severe growth disabilities because of a severe neurological disorder. 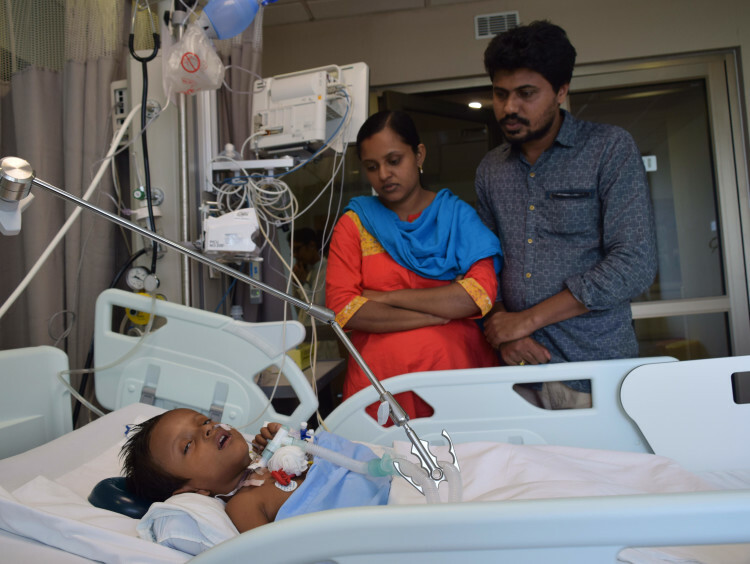 The doctors have told Libikumar and Haritha that Nived may be lacking on all developmental fronts even if he gets his life back. But they are not worried about all that – they only have one concern. They want to save his life. Libikumar had been saving some money over the years to invest in his small number plate painting shop. But before it could take off, his son Nived fell critically ill. He was forced to use all that money for his son’s treatment. 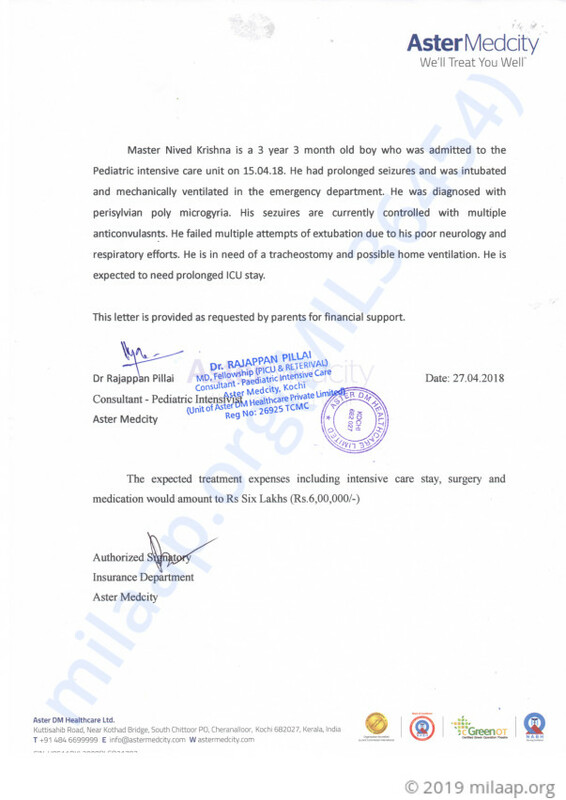 Sadly for Libikumar, that amount is not enough to save his son’s life. “I have used up close to Rs 50,000 that I had. I had to borrow another 50,000 from relatives. 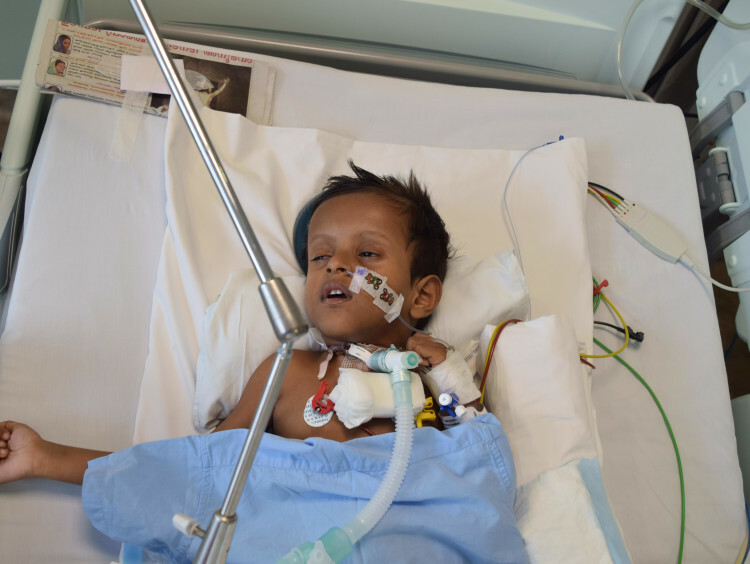 Even if Nived gets discharged from the hospital, the doctors have told me that he would require advanced care. We may need to set up a ventilator at home. His breathing is getting worse by the minute. 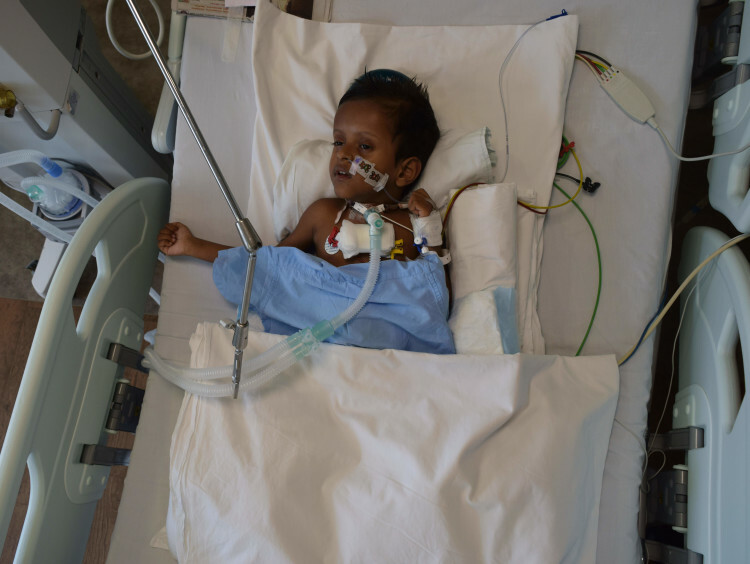 I need help or my son will stop breathing forever.” - Libikumar, with tears in his eyes. 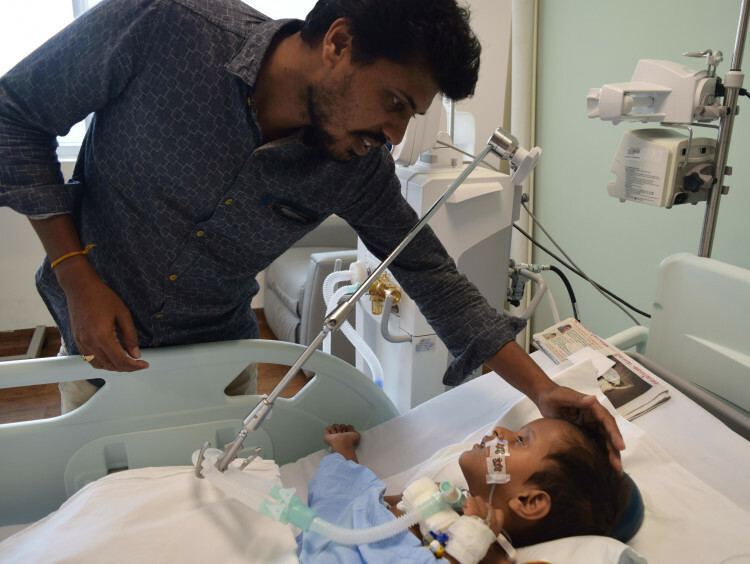 Your kindness can help this father save his son from death. Nived is doing well. He is under medication and doing physiotherapy regularly. He is recovering well and responding well to the treatment. He needs to continue the treatment for next three years for the complete recovery. Once again, thank you all for the love and support. Please pray for his speedy recovery. I am humbled by the love and support given to Nived. He is presently at home and is being treated with physiotherapy once a week. He is also under medication and is recovering fast. We will take him to the hospital for a check after 3 months. Thank you for your support will keep you posted. Thank you so much for the love and support. Here is an update on Nived's health. Currently, he is at home and doing a lot better. He is undergoing medical management at home. He is on medication as prescribed by the doctors and he is responding well, he had a few events of seizures and vomiting but with the medication, it has reduced. We will go to the hospital after two weeks for the follow-up and hopefully his tracheostomy tube will be removed. Thank you so much once again. Will keep you posted.